They make a big impact in a short time. 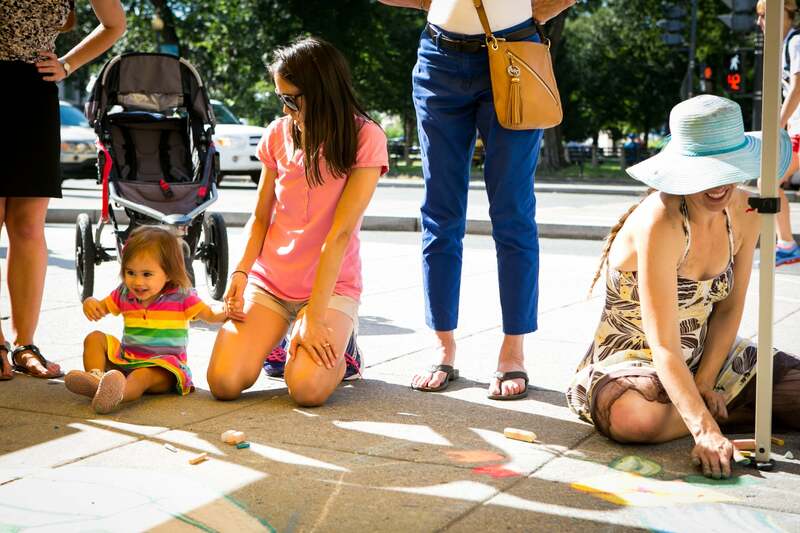 The Golden Triangle BID brings a bit of spring’s warmth to the winter landscape by adorning 125 flower beds in downtown Washington with winning poetry from the Golden Haiku contest – the first temporary community literary art project of its kind. 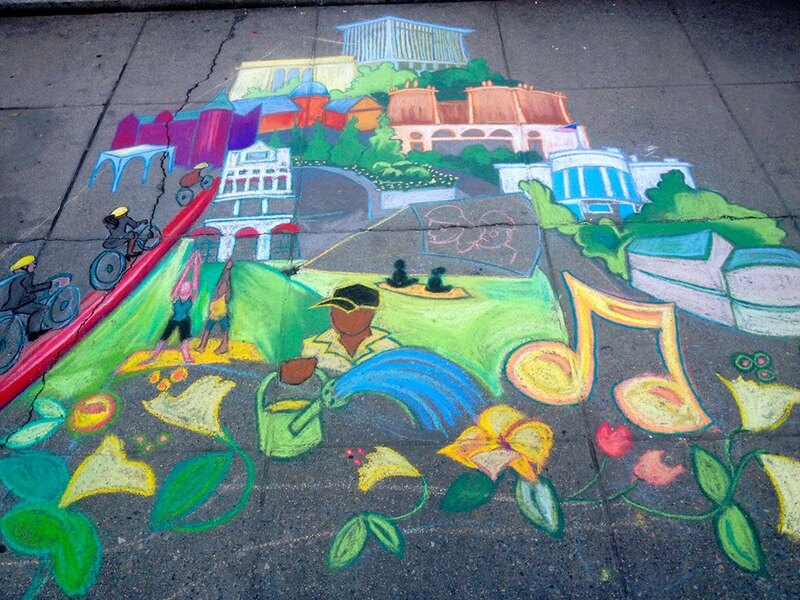 All winning poems from 2016 can be found here. 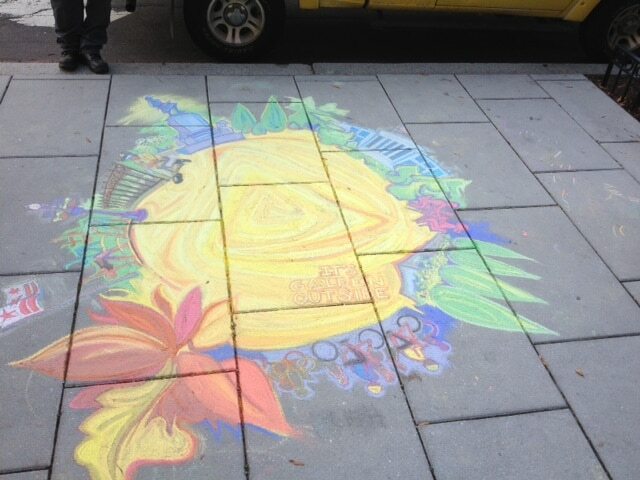 parKIT is a parklet that was installed in front of 2020 K Street NW and open to the public through October 2015. 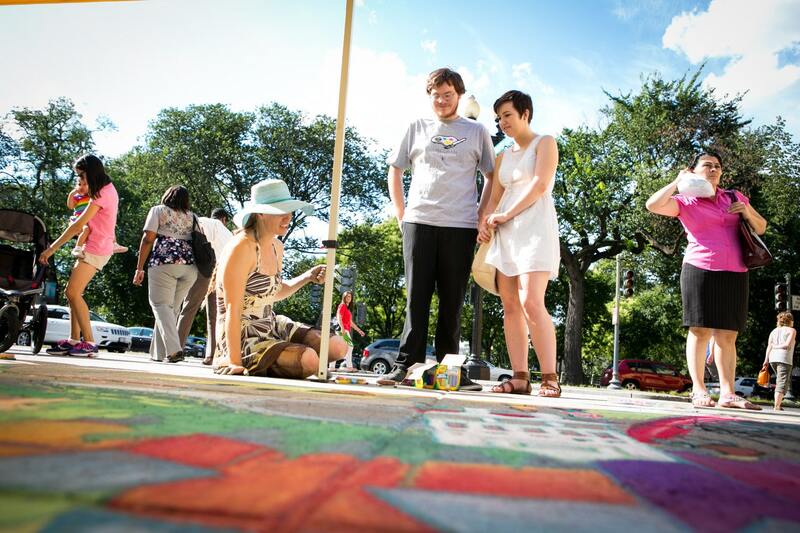 It transformed two parking spaces into a place for people to socialize, enjoy coffee, or just take a break. 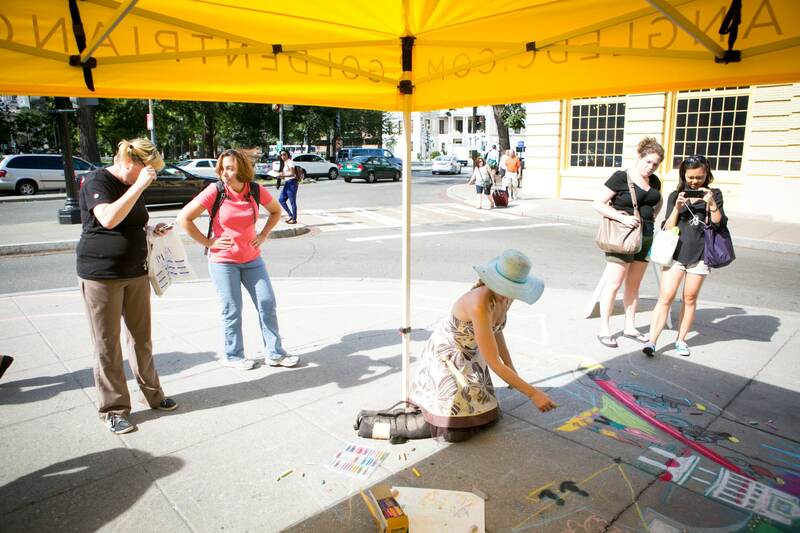 As part of its temporary urbanism initiative, Sustainable DC invited the Golden Triangle to pilot the creation of a seasonal parklet. 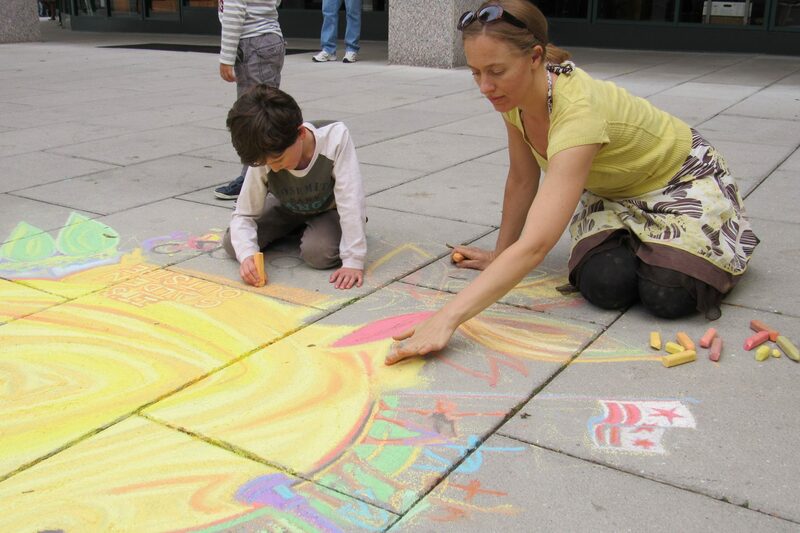 Sustainable DC and DDOT have developed new guidelines and protocols for parklets throughout the city with input from the Golden Triangle BID and others. 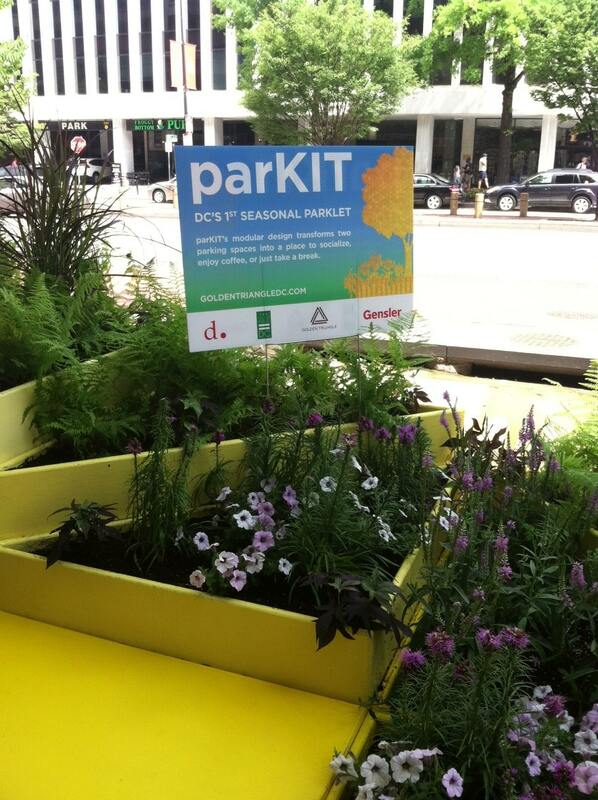 The design for parKIT was created by two Gensler designers who won an in-house design competition. 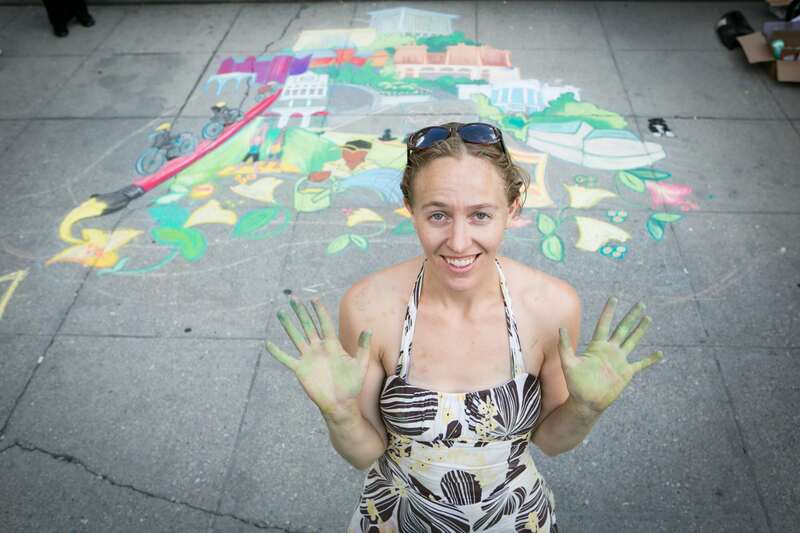 The Golden Triangle BID funded the construction and installation of the parklet. 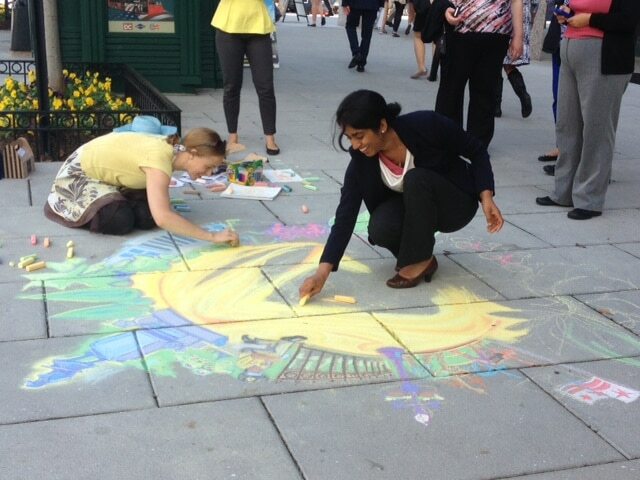 It’s not every day that a busy sidewalk becomes an artist’s concrete canvas. 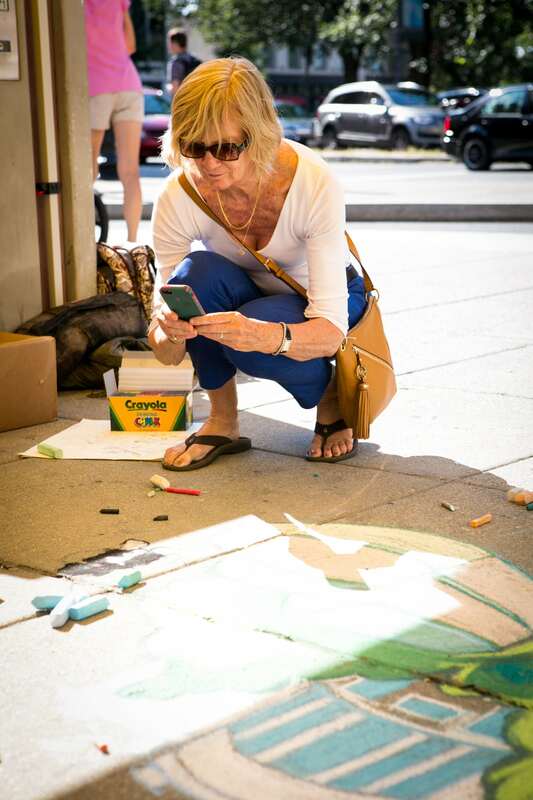 The Golden Triangle BID worked with George Washington University’s Corcoran School of Arts & Design and artist Whitney Waller to create temporary chalk art on sidewalks in the Golden Triangle. 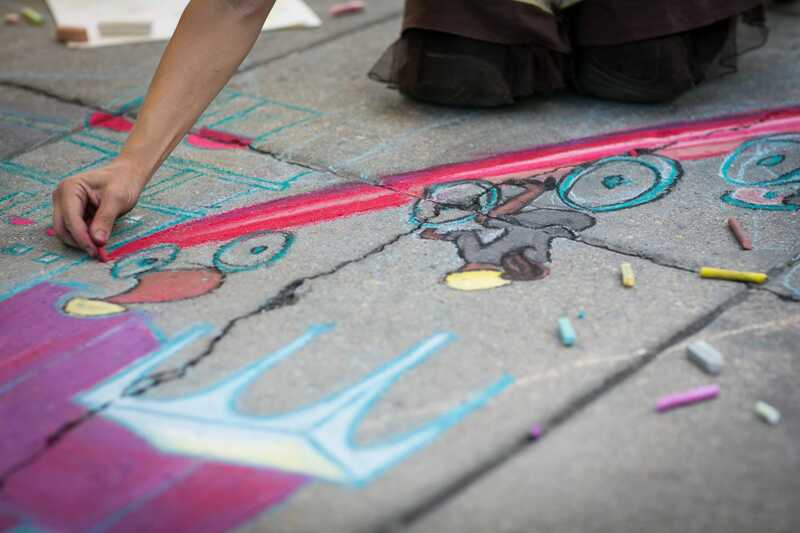 Waller used the brightly colored chalk to draw iconic Golden Triangle destinations, including National Geographic Museum, St. Matthew’s Cathedral, the Heurich House Museum, and the Tiny Jewel Box. 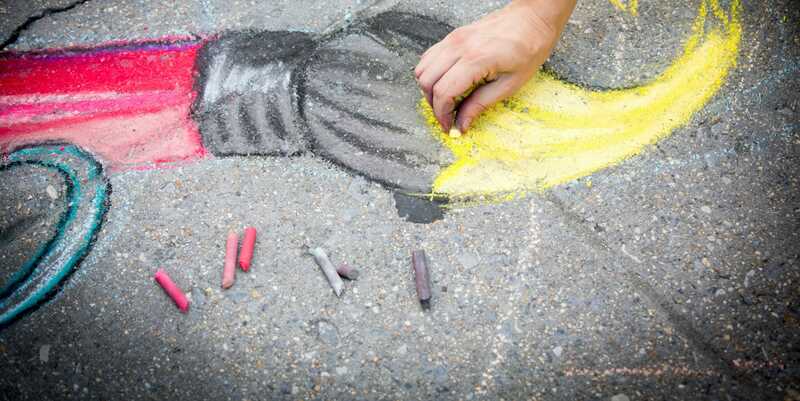 Although chalk art is only temporary for a few days, it provides enjoyment for all who see it.